The scorching Georgia heat provided an ideal setting for the scorching spikes of the participants in the ATA-TAMA Volleyball tournament. The tournament was spread over 2 weekends with the first round being conducted in the first weekend and the star and premier leagues in the final weekend. Teams have been divided into three pools and each team played with all the other teams except teams in their pool. All teams participated with great gusto. Eight teams qualified for the final weekend with the top four teams competing in the premier league and the teams 5-8 competing in the star league. 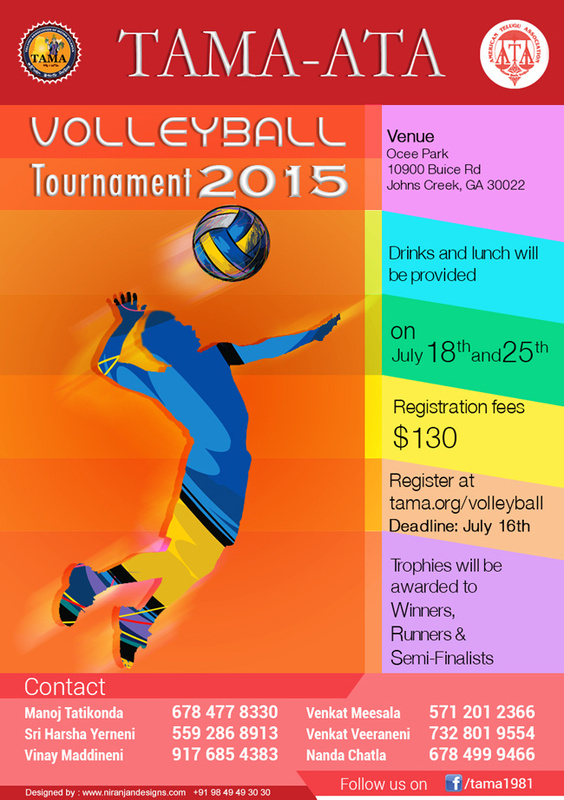 The premier league finals was held between Delta Volleybulls and Alpharetta One. The Delta Volleybulls easily took care of business and won in 2 sets. The Star league finals was between Megabytes and Atlanta Spikers and was won by the Atlanta Spikers. Manoj Tatikonda, TAMA sports secretary ably conducted the event without any hitches. Sri Harsha Yerneni provided an advisory role and supported Manoj. TAMA provided sumptuous lunch on both weekends as well as water and sports drinks to keep the players hydrated. 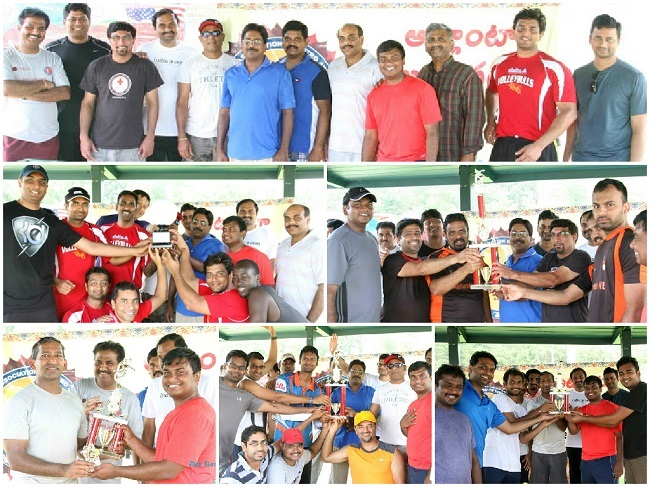 Karunakar Asireddy (ATA President Elect) along with Atlanta ATA team members Raghu Banda, Nanda Chatla, Venkat Veeraneni presented the trophies to the winners. Such events are not possible without the support of many volunteers. TAMA would like to thank Srinivasa Lavu, Bharat Maddineni, Devanand Kondur, Venkat Meesala, Mahesh Pawar, Ram Maddi, Venky Gadde, Subbarao Maddali, Sri Harsha Yerneni, Manoj Tatikonda, Nagesh Doddaka, Rajesh Tadikamalla, Rakesh Kunnath, Karunakar Boyanapally and many others for their help in conducting the event. TAMA would also like to thank Devanand Kondur for capturing and providing pictures of the event.